The Ofélia Festival appeared as a result of the interest expressed by students of theater, with the aim of celebrating, theater, performance, voice, body and creativity. This event gave them the possibility to perform extracurricular activities and deepen their knowledge in the various artistic fields. The first edition of the Ofélia Festival in Caldas da Rainha was held in 2011. In the first year only students from ESAD.CR attended the festival, as well as 300 visitors. 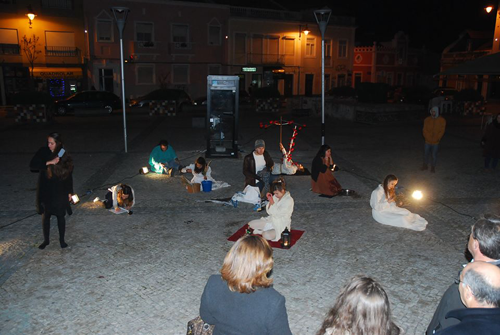 The 2nd edition had the participation of 5 external schools – University of Coimbra, School of Music, Arts and Entertainment, University of Trás-os-Montes and Alto Douro, Évora University and School of Theatre and Film. 800 visitors were present in this 2nd edition.